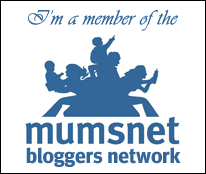 You might know that I absolutely love personalised items for the home and for the kids. Tinyme.co.uk offer a bunch of lovely personalised items that are perfect as gifts and they’ve recently released a range of personalised jigsaw puzzles. 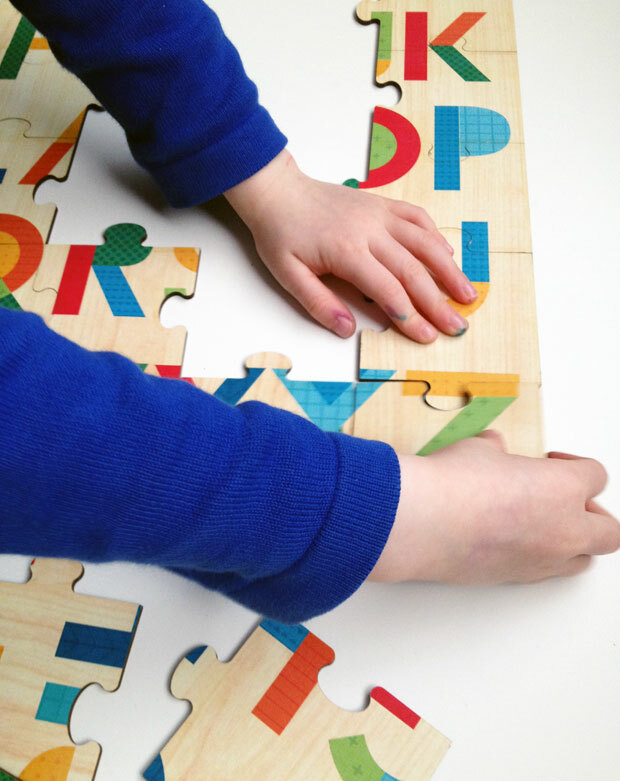 We have the Intermediate Jigsaw Puzzle in A3 with an Alphabet design but there are lots of developmental stages of puzzle (from 19 months+ to 5 years+), designs, colours, sizes and personalisations to choose from. We went for the colours Brights! This design has a beautiful and colorful alphabet on one side with very cool typography and a large letter and word on the other side. We went for the letter “H” for “Happy”. You can of course put a name or whatever you want here. The geometric background is beautiful! I love the double-sided aspect as this adds a whole other puzzle and lots more fun. It also makes it a bit more challenging as you have to figure out which side is right for the puzzle you’re trying to make. 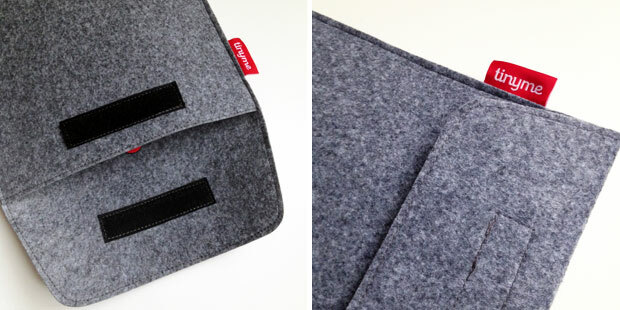 You also get a lovely felt storage pouch to keep your jigsaw in. It’s very stylish and space-saving. The intermediate puzzle has 24 pieces and is recommended for children aged 4-5 years old. My eldest (3.5 years old) is a bit of a jigsaw genius and has always enjoyed jigsaws for children older than her so she loves this one. 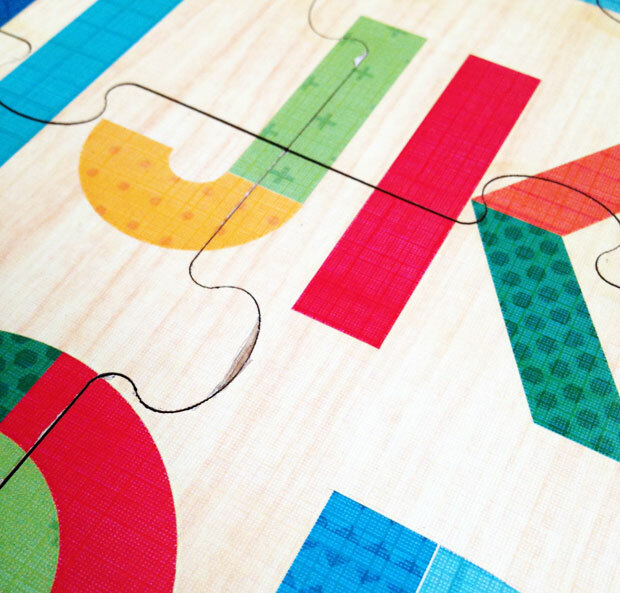 The jigsaws are made of wood and printed in high resolution and have a clear gloss coating for extra durability. A few of the pieces were a bit rough on the edges but not enough to be annoying. 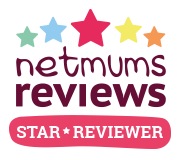 We love our personalised Tinyme jigsaw! They’d make lovely Christmas gifts and keepsakes. 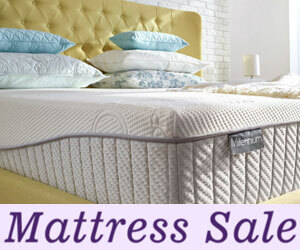 Christmas is getting closer and closer and it’s almost time to start thinking about gifts. 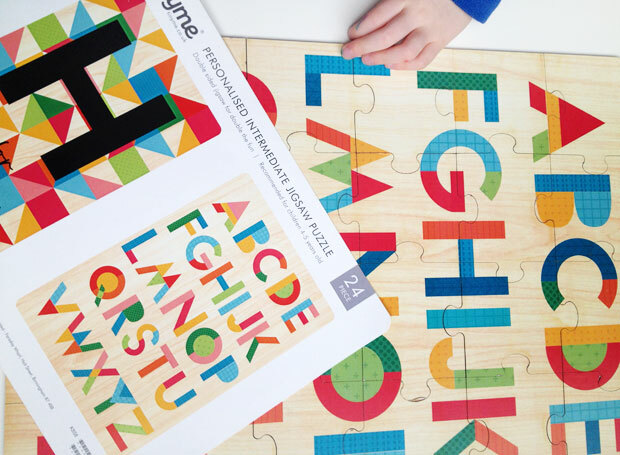 Giveaway – Win a personalised A4 intermediate puzzle! For a chance to win a personalised A4 intermediate puzzle, enter through the Rafflecopter below. The giveaway will end on the 31st of October 2017. Terms & Conditions apply. UK entrants only. We were sent this item for this review. As always, all my reviews are 100% honest and all thoughts and opinions are my own. I like the personalised library bags. These jigsaws are my favourite but I like the backpacks too. I love the personalised jigsaw puzzles! I like the Amazing Alphabet book. The amazing alphabet book looks great. I like the personalised diaries. I like the personalised library bags. My son is always misplacing his as they all look the same! I love the personalised library bags! I love the whole range of wall stickers! I love their clothing labels :) They are so cute! Love the ‘clever like a fox’ personalised jigsaw- my son is really enjoying puzzles at the moment so this might just be one for the christmas list! BRANCH WITH SCROLL door sticker. The personalised jigsaws are a delight. 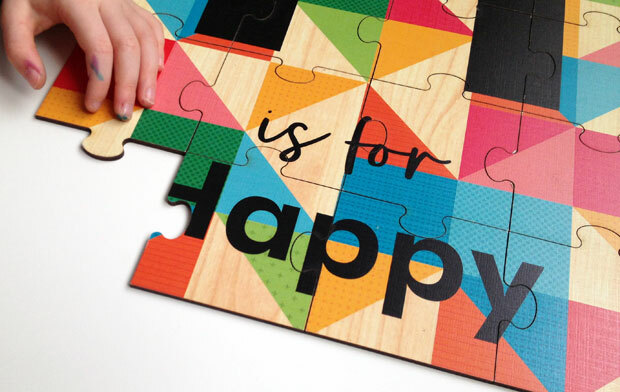 The Alphabet Beginner’s Jigsaw Puzzle is bright and educational. Lovely. I love the Lighthouse height chart. I love the junior backpacks! My little boy is really into his jigsaw puzzles at the moment so I’d have to say they are my favourite. The personalised backpacks are fab! I love the personalised jigsaw puzzles, they’d make for a special gift. My favourite product is their Lighthouse Height Chart. I love their personalised fridge magnets. :) A simple idea but a very thoughtful one.